Here's a photo gallery of some of the groups that sent in pics of members of their bands attending the DCI Cinema Live event on Aug. 11. Check out the photo gallery. 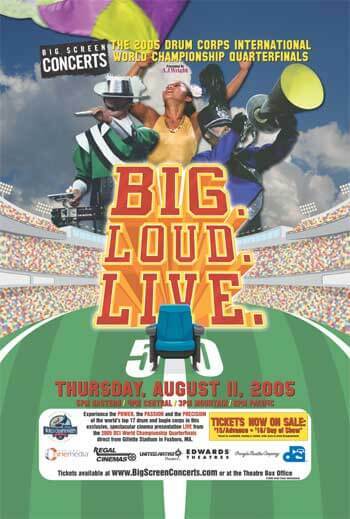 Each of these groups will be receiving a "Big, Loud, Live" poster (pictured below) to decorate their band room. Thanks to all of you who participated!